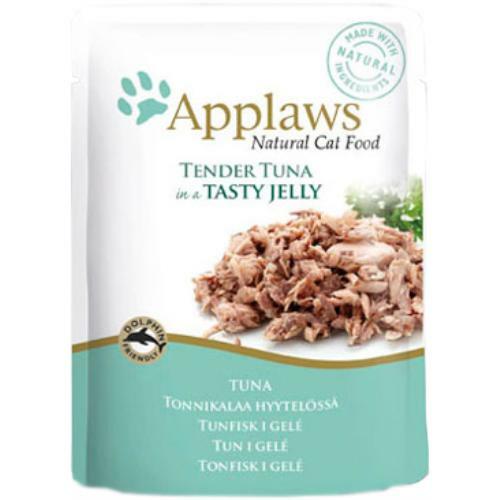 Applaws Tuna In Jelly Pouches are an all natural complementary food for your adult cat. Made containing only natural ingredients all listed on the packet and nothing more or less, Applaws Jelly Pouches can be fed alongside complete dry and wet foods for a balanced diet. 55% Tuna whole meat, 7% Salmon, 1% Gelling agent, 37% Water. Crude Protein 15%, Crude oils and fats 1%, Crude Ash 1%, Crude Fibre 1% , Moisture 82%.